Recorded Live at Technical College, Watford, England - March 04, 1972. Very Good- Audience Recording :: Bootleg Silver CD :: Lossless FLAC. Files: 7. :: Size: 368 MB (flac). 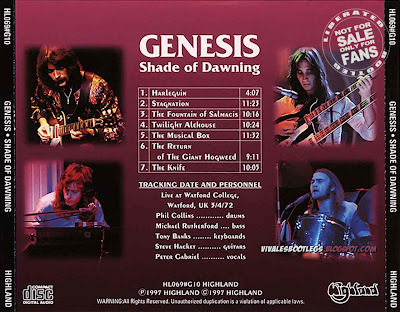 Personnel: Peter Gabriel: vocals, flute, percussion :: Tony Banks: piano, organ, mellotron, acoustic guitar :: Mike Rutherford: bass guitar, acoustic guitar and bass pedals :: Steve Hackett: electric and acoustic guitars :: Phil Collins: drums and vocals . 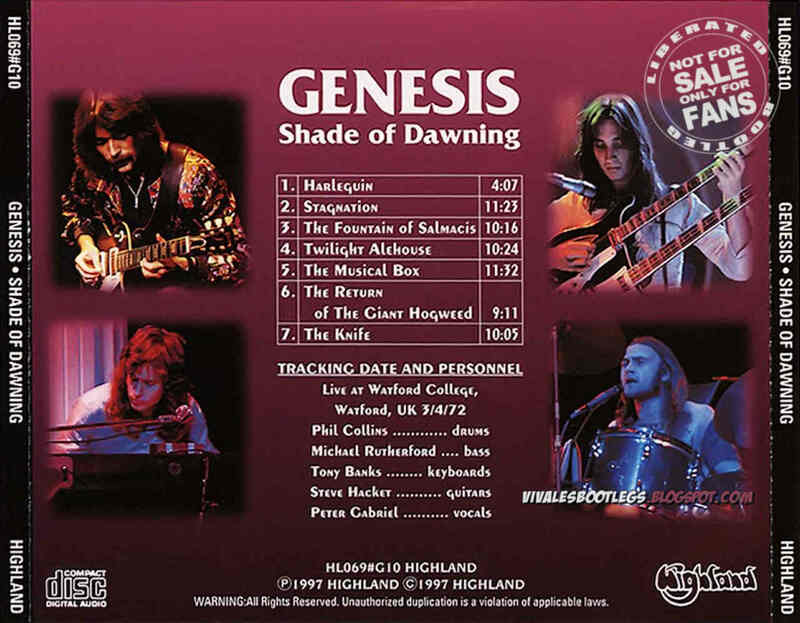 Aside from being the earliest Genesis audience recording from England, this valuable for having the only live version of ”Harlequin.” Since the tape cuts in at the very beginning it is hard to say if it is the first song of the set. It wouldn’t be inconceivable to start the show with a mellow acoustic based ballad. The only older audience recording, dating from January 16th Festival Charleroi in Belgium, has a similar set list except “Happy The Man” is played first before “Stagnation.” It is effective in the live setting with the guitars emanating a dreamy landscape perfect in capturing the idea behind Nursery Cryme. Gabriel tells a long story about Thomas Eselberg playing monopoly before the start “Stagnation” which, at the start, maintains the aura of the preceding song. Gabriel tells the hermaphrodite story before dedicating “The Fountain Of Salmacis” to the Tesco supermarket chain, ”without them, none of this would have been possible.” This is one of the most passionate renditions of the tale with Peter in particular punctuating the verses with screams. 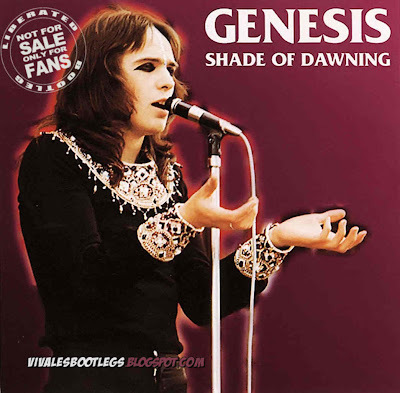 Before “Twilight Alehouse” he tells the long “tube train” story which has nothing to do with the song but is famous for being included on the liner notes to Genesis Live released the following year. This is the only recording where he recites the story. “The Musical Box” has by this time found its place as their most dramatic and compelling live pieces. Gabriel tells the story of the song and speaks about a “naked Patrick Moore” being lowered from the rafters before they start and even without the visuals and the costumes the stark emotions are conveyed. Banks and Hackett hit the hard rock middle with much aggression which will be carried over into the final songs of the night. Before “Hogweed” Gabriel tells the audience they paid six John Lennon impersonators and challenges them to find the real John Lennon. The middle and ending with Hackett and Banks playing closest to heavy metal as Genesis would ever go and when they come out for the encore Gabriel introduces “The Knife” as “a bit of vintage Genesis.” There have been no other silver releases of this tape since Highland produced Shade Of Dawning in 1996 and it remains the definitive edition..<-(Info taken from collectorsmusicreviews.com)..
Man i love your blog, i will download this bootleg of genesis, the peolpe of brazil like very much viva les bootlegs,so you can post the mp3 of guns n roses live in tokyo 92, because i dont found in mp3 or flac,thanks.Keep On Rockin!!! Great blog. I follow it all the time. Thank you & keep up the good work. 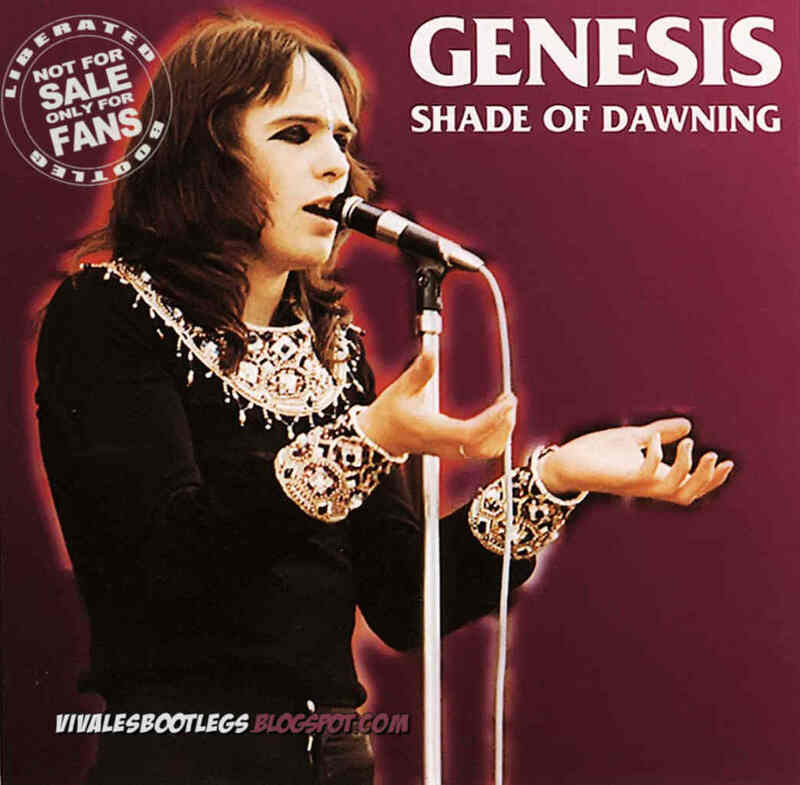 The foxtrot era of genesis has a magical quality that the band never seemed to fully tap afterward. ever released. Thanks for this.